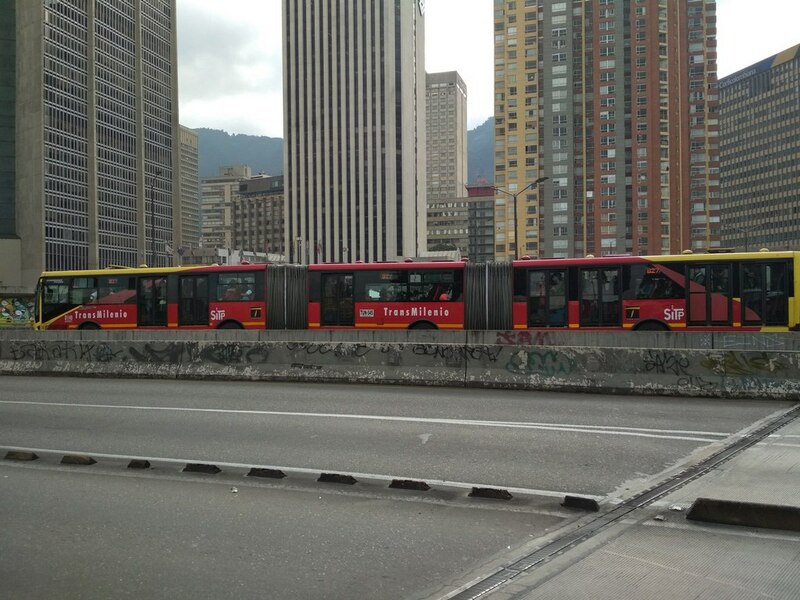 There are no metro in Bogota, they have something that looks like both metro and bus – Transmilenio. This is a common bus that uses a dedicated line (or two) on the road. On this line even a taxi couldn’t ride. Stops are designed like the metro stations with turnstiles, automatic doors, transitions between stations, often long and underground. So, what you have to do to go from the airport to the city center in Bogota, for example to La Candelaria? Firstly, install local application on your mobile device: Transmilenio y Sitp. It’s not ideal but helps in most cases. Secondly, after arrival to the airport, go to the information booth near the entrance 4 or 5 on the second floor and ask, how to get to the city center. If you are a backpacker than probably you live in the central district named La Candelaria. In the information booth they will tell you something what the Transmilenio application can tell you. 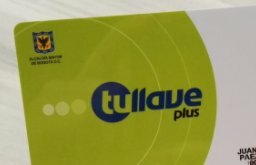 Namely: On the first floor near the entrance 4 in the green booth Tullave, you have to buy a plastic card for 5000 peso ($2) and add money to it for several rides. One ride costs about $0.80. Next you have to go out from the airport through the entrance 5 or 6, find there a bus number K86 and use it as a usual bus. There are some moments you need to pay attention to. This bus is not the often guest in the airport. On its way it changes the number from K86 to M86. Prepare to your stops beforehand. Colombians do not wait for those who want to go out from the bus. Two crowds meet in the fight when bus stops – those who try to go out of the bus and those who try to go in. What can help here is that on the same gate people can wait another bus and they would not move for other passengers sake. So, while people who want to get in, struggling with passive people who is waiting for other bus, you have a little time to get out of the bus (also struggling with the passengers of your bus who just stand near the door). The driver doesn’t wait for a long time and closes doors after a short period of time. So, how to get to La Candelaria district from the airport: You have to take bus K86(M86) and go to Plaza de la Democracia stop. There change the bus to number 1 and ride to the last stop – Universidades. All this information you can see in Transmilenio y Sitp application. It ready to show you all the route with the stops in a real time. If you don’t have a mobile internet in Colombia, use free WiFi in airport to get the route. This application couldn’t create a route in an offline mode. Sadly even such nice system as Transmilenio failed. Rush hour do not have mercy on anybody. Avoid to use Transmilenio on these hours. Government tries to solve this problem developing bicycle routes. For example, in rush hour for cyclists the open two lines of the main road. Yes! 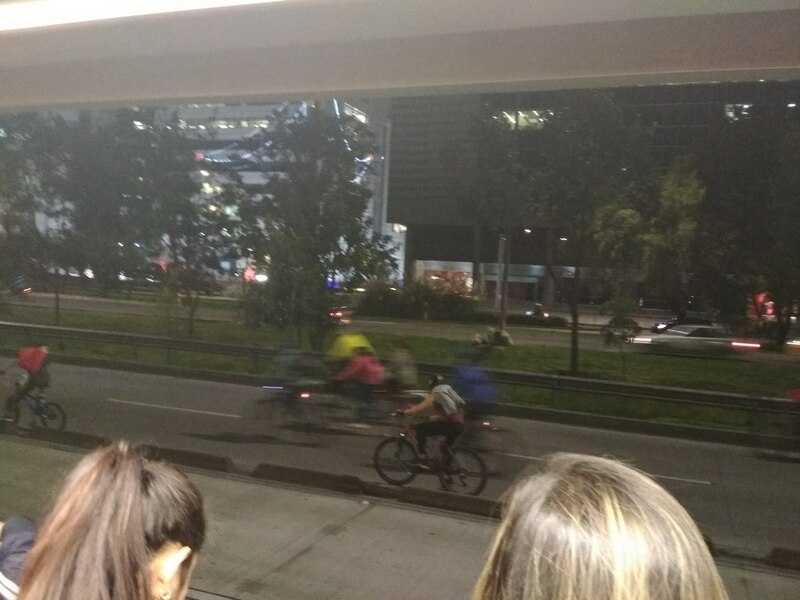 Two lines for Transmilenio, two for cyclists and on two others – traffic jam. And there are thousands of cyclists!!! I didn’t see such picture even in Amsterdam! Veiw from the Transmileion stop. Many cyclists go along. P.S. By the way, in Bogota airport they offer a free vaccination against the yellow fever and give you an international certificate. You can do this on the second floor not far from the information booth. My ten years old vaccination came to the end, so I went there and spent 20 minutes in the queue to renew it.